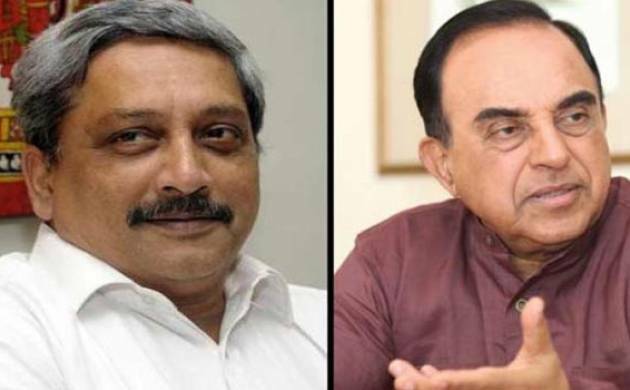 It will be a hectic day for Rajya Sabha as around 53 parliamentarians are set retire and the Congress is mulling to bring privilege motions against BJP leader Subramanian Swamy and Defence Minister Manohar Parrikar accusing them of lying blatantly during the AgustaWestland debate. AICC also announced that the party will file defamation case against a US-based website, www.pguru.com, whose material was used by the BJP MP in the Upper House debate. It alleged that the website is linked to the Sangh Parivar. While speaking to reporters Congress spokesman Jairam Ramesh told that both Swamy and Parrikar have blatantly lied in Parliament by creating a web of deceit in front of the people. Noting that the Defence Minister authenticated documents in the Lok Sabha, he claimed it was not the judgement of the Italian court. Claiming that the nine pages from the website are false, Ramesh said the party would be filing a defamation case against it. He claimed that besides Swamy, S Gurumurthy and IIM professor R Vaidyanathan are linked to the website being run by a person named Shri Aiyar from the Silicon valley.